We do love the simple things in life -- good tunes, a nice cuppa joe, a warm afternoon. Well, two out of three ain't bad. Yesterday, the temperature hovered just below 80. Today we are struggling to get up to 50. These wild swings are not conducive to health, physical or mental. The clear recourse is to sit at the computer flooded with the SAD light and listen to tunes. 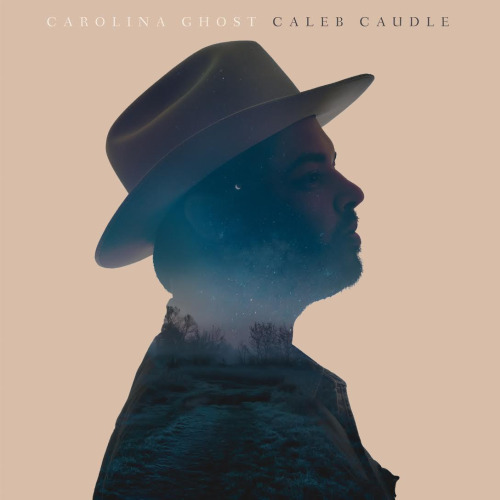 One of our new favorites is Carolina Ghost by Caleb Caudle. It is getting a lot, lot, lot of play here at Doe Run Farm. Many people have reviewed Carolina Ghost and most of them have had a hard time reviewing it. Not because they didn't like it, it has been universally heralded, but because they can't really pigeonhole it. It is a thoughtful, well written, slightly poppy Americana record. Alas, in a time when there are more more Americana artists out there, there are virtually no outlets to listen to new music. Americana is actually what country music was meant to be in the old fashioned and still relevant Hank Williams/Patsy Cline way, before "country" became some sort of "bros before music" frat party. Since Christmas, my iTunes has been filled with not only Caleb Caudle, but Freakwater, Dori Freeman, Julien Baker, as well as Lucinda Williams and Loretta Lynn. Other than my kitchen, where are you going to hear a set featuring these guys? Yes, we have been listening to Chris Stapleton whose a bit of a "bros" kinda guy. We gave Rhiannon Giddens a pass to channel that Billie Holiday vibe, though we miss the Chocolate Drops. We loved the new David Wax Museum and even got a Christmas present from Duquette Johnston. And still, you need to be in my kitchen. And speaking of my kitchen...and Caleb Caudle...and coffee, my favorite coffee roaster is in the little town of Sugar Grove, Virginia. Dark Hollow Roasters makes wonderful coffee. You can buy it out in the world, but if you order it from Dark Hollow Roasters, it is roasted the day you order it. So Dark Hollow is also a fan of Caleb Caudle and recently they blended a coffee in honor of Carolina Ghost. We do love a good theme. 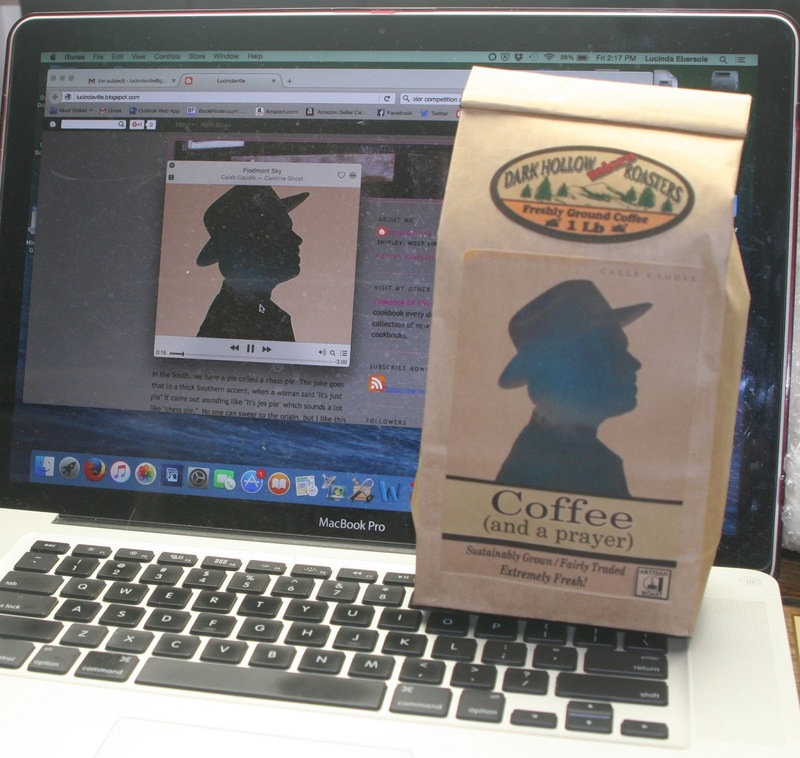 On this wintry spring day, we got a package from Dark Hollow Roasters with Caleb Caudle's blend, Coffee (and a prayer); a line from his song, The Reddest Rose. It was roasted a mere three days ago and the post office was jealous because the package was wafting warm coffee aromas. This afternoon we are sitting in the kitchen listening to Carolina Ghost and drinking Coffee (and a prayer). Even the cold weather can't get us down!